Our corporate partners provide tremendous support to Garvan’s work. Whether it’s purchasing research equipment, running community forums or providing in-kind support, they’re making a significant difference to the health of our community. After many years of support, Australian pearler Paspaley is donating 25% of proceeds from their Kimberley Bracelet to Garvan’s cancer research. The unisex bracelet unites sandalwood and lustrous pearls, natural elements unique to Western Australia’s Kimberley region. 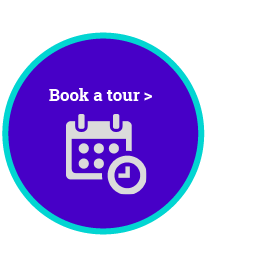 Every customer has the opportunity to choose which type of cancer research they wish to support – bowel cancer; breast cancer; lung cancer; ovarian cancer; pancreatic cancer; prostate cancer or sarcoma research. Vodafone Foundation has launched DreamLab, an app that uses your smartphone’s processing power to speed up research while you sleep. Cancer research is often slowed down by data-related questions that are too expensive or time-consuming to compute. The power generated by the app gives Garvan a virtual supercomputer to accelerate our research and help answer these difficult questions. DreamLab is part of Vodafone’s commitment to help charities harness the power of mobile technology to improve the health of Australians. AccorHotels Australia is committed to contributing to the social and economic development of the local communities in which their hotels operate. The Garvan Institute of Medical Research is a founding partner of the AccorHotels Community Fund – which has been established to build healthy families across the country and enable positive social impact in the areas of health and wellbeing, youth and inclusion. Ridley has worked with Garvan since 2013 on Healthy Families, Healthy Communities. It includes free public forums to raise awareness about health issues that face rural and regional communities, and promote the importance of medical research to close the health gap between city and country. In 2016 we jointly launched the Ridley Ken Davies Award. The award is in honour of much-loved employee Ken Davies who sadly passed away from cancer. 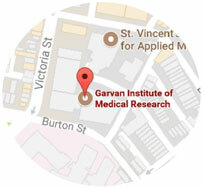 The award of $75,000 is given to a Garvan researcher or research team to advance medical research.